Support Constitutional Carry Law for Wisconsin! Have any of you ever wondered why Wisconsin is always so far behind in the gun rights battle? When the rest of the nation got rid of “may issue” for concealed carry permits, Wisconsin persisted. “May Issue” means that law enforcement determined whether or not you could carry. It wasn’t until 2011 that Wisconsin finally made permits “Shall Issue,” which means unless you are a criminal, you get your permit when you apply. Wisconsin was one of the last states to pass “Shall Issue” into law. In the 1990’s, most states got rid of mandatory waiting periods for purchasing a handgun. Not in Wisconsin. Once again, we were behind the rest of the pro-gun states in passing substantive pro-gun legislation. Wisconsin didn’t get rid of the 48-hour waiting period for buying handguns until 2015. That is way too long for a state that should be leading the gun rights movement. But no one was holding politicians accountable, so what did they have to fear? That’s what concerns me, and I know it concerns many of you: when it comes to Constitutional Carry, we will be behind again. You deserve a group who will fight for your gun rights. Welcome to the Wisconsin Firearms Coalition! You can help Wisconsin change our status in the gun rights battle from follower to leader, and we’ll tell you how in a minute. So why is Wisconsin always so far behind? The reality is that legislators have not been feeling the heat for not passing meaningful pro-gun legislation. They campaign on pro-2nd Amendment stances, and then don’t pass legislation like Constitutional Carry or Stand-Your-Ground during the legislative session. But who is holding them accountable? No one! As a newer organization here in Wisconsin, we intend to hold legislators accountable for their pro-2nd Amendment votes or lack of them as the case may be. We have seen a massive rejection of the gun control agenda with the loss of Hillary Clinton, Senator Russ Feingold, and even here in Wisconsin with the loss of Rep. Chris Danou (D-82). Gun control is a losing horse in Wisconsin, but that isn’t enough. We need to be on offense! The best way to go on offense is by pushing Constitutional Carry into law, and holding our legislators to their campaign promises to strengthen the 2nd Amendment with meaningful gun bills. The Wisconsin Firearms Coalition is about taking action. We are about mobilizing as many gun owners in Wisconsin as possible, to push your gun rights agenda! The excuses stop right now! We want concrete results for Wisconsin pro-2nd Amendment advocates and we won’t settle for anything less. If you want to be a part of an organization who will stand with gun owners, then please stand with the Wisconsin Firearms Coalition! First, consider joining this great organization today! 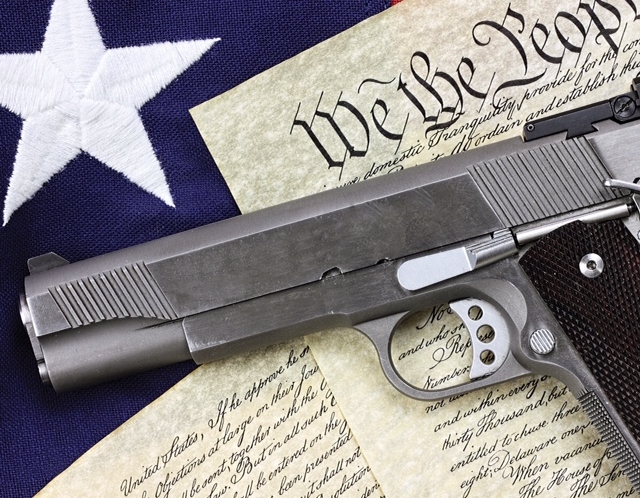 Second, sign our petition for Constitutional Carry in Wisconsin. Third, if you are not already on our Facebook Page, then you can click here to follow us and keep up to date with what is happening now. With the session just days away, we will need all hands on deck to let legislators know we demand Constitutional Carry. You can play a crucial role this year in making it a reality, as the Wisconsin Firearms Coalition uses a massive grassroots effort to push pro-gun legislation. From emails, phone calls, Facebook posts, and direct mail campaigns, we will go “all out” in pushing Constitutional Carry if we have the resources. We know you want to help, and sometimes you don’t have a lot of time to spare. If that is the case, then please consider a donation to help with these important battles. A donation of $100 today, will help us mobilize hundreds of gun owners in our push for Constitutional Carry. If that is simply too much, then please consider $50 or even just $25 to help the Wisconsin Firearms Coalition battle for your gun rights. Go here to donate today! Please stay tuned and stay informed on our efforts. The next few months are going to be very intense and you don’t want to be left in the dark on what we are doing. P.S. Are you tired of Wisconsin legislators not being held accountable for not passing real, substantive pro-gun legislation? The Wisconsin Firearms Coalition is here to help! We want to see Constitutional Carry pass this year, in Wisconsin, but we need all hands on deck to make that happen. Please sign our petition today and then send this email to several of your friends so they too can sign. Then please consider a donation of $100, $50, or even just $25 to help us push Constitutional Carry into reality for Wisconsin citizens by donating today.